July | 2013 | Shits and Giggles: A Seattle bathroom tour! 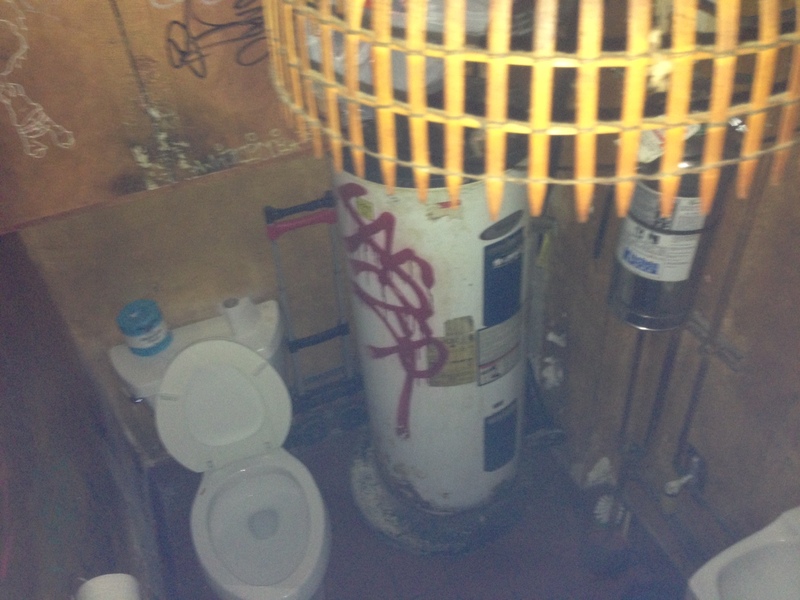 I’ve yet to find a more dumpy bathroom in any Seattle establishment (seen worse in Tijuana, China, India and Florida). There was no door, boxes to crawl over, exposed wall and pipes everywhere. The sink wasn’t working on this particular day, and the toilet was gnarly. One can imagine what lives in here when it gets slow at night. The stench was horrible. One would think with the quality of food served at the Hurricane, the bathroom would be kept well with all the use it gets. This is one to stay away from hell. It is indeed “Unique”! Redwood: Shooting practice in the bathroom! 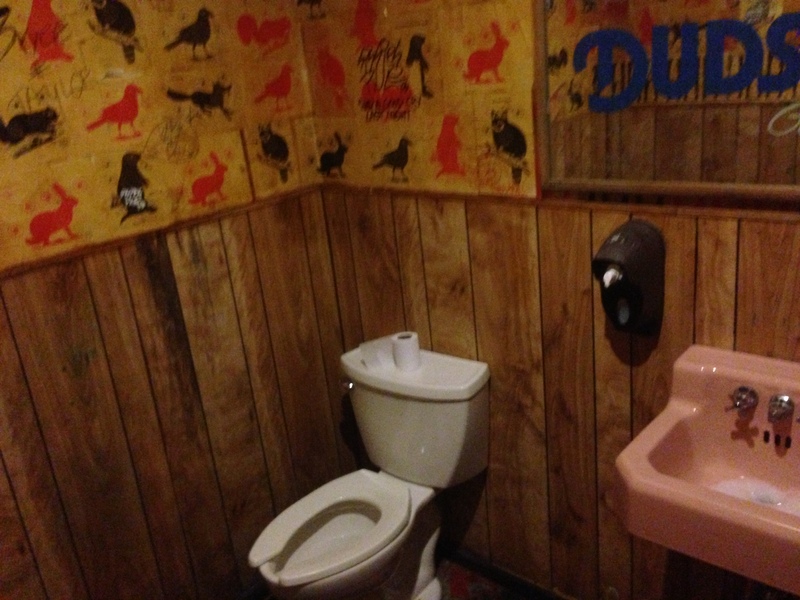 The bathrooms at The Redwood add a great touch to the hunting style dive bar. After you’ve had enough peanuts and tossed the shells on the ground, hit the can at the Redwood for target practice. The walls are covered with animal prints from shooting galleries and the wooden panels continue the bars theme. The great 60’s-tastic sink and fixtures make this bathroom even memorable after a bender. This is one of my favorite bathrooms in Seattle. Divey, but intended! Hipster indeed. There are two bathrooms in this bar, and both have their different décor. The bathroom at 8 Oz. Burgers on Capitol Hill always pleases! 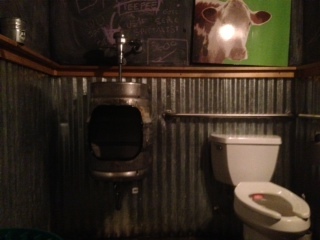 It’s rustic, but clean and features a keg done turned into a urinal! The bathroom art reminds of you of the tasty food you’ll be filling yourself with. The only thing I would add would be throwing some ice into the keg urinal, as this is every man’s pleasure! Melting the ice! Great chalk art if you want to get personal and artistic after you’ve washed your hands!